This is a wonderful new paperback edition of this beloved international bestseller. The story of Little and Big Nutbrown Hare's efforts to express their love for each other is a timeless classic about the love between a parent and child. 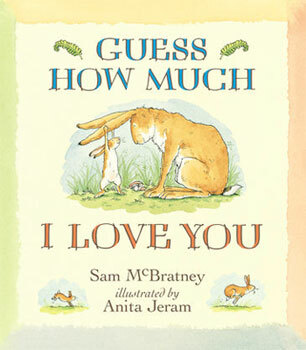 Sam McBratney, author of one of world s bestselling picture books, "Guess How Much I Love You", has won the Bass Ireland Arts Prize and the Bisto Award, twice. He is also the author of the bestselling "You re All My Favourites". Anita Jeram is the acclaimed illustrator of the adored picture book "Guess How Much I Love You", as well as "You re All My Favourites", and "I Love My Little Storybook", which she also wrote.